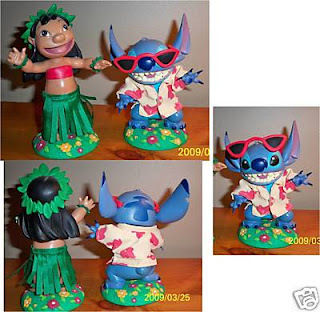 This is a set of two hula dancing/nodders/bobbleheads featuring Lilo & Stitch from the Disney movie, LILO & STITCH. 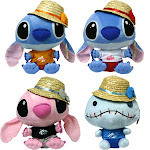 Lilo is dressed for the hula, while Stitch dons a Hawaiian shirt and removable sunglasses. The dolls are plastic, but Lilo's skirt are fabric. 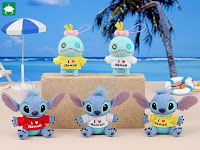 Stitch shirt is not available. Lilo stands about 6 1/2" high, while Stitch is just under 5 1/2"